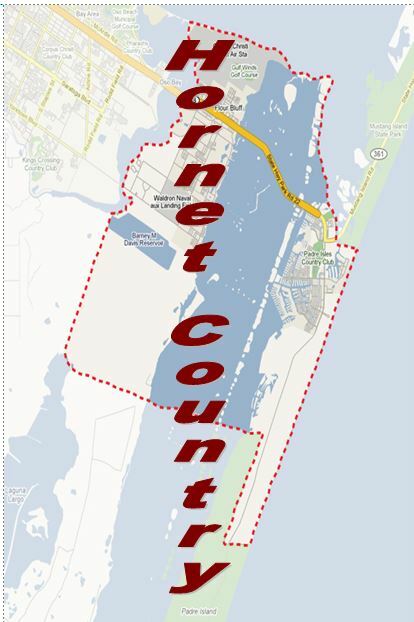 Why do families flock to Flour Bluff and Padre Island? Many, it turns out, want their children to attend Flour Bluff Schools, a place with a rich history and a commitment to educating the whole child. In the beginning, ranching, oil and gas, and the Navy grew this little community nestled between the Cayo del Oso and the Laguna Madre, which in turn grew the school for many years. Now, the school is returning the favor by continuing to draw people into this unique and strongly independent community that offers a hometown environment for raising kids, one complete with Friday night lights, homecoming parades, a Santa float at Christmastime, and an eclectic group of small businesses co-existing among the giants, such as Walmart, Whataburger, and HEB. The pre-K through early-college school is not like any other. All the campuses and school facilities are within walking distance of each other and are surrounded by quiet neighborhoods, something that has helped keep the kids close in proximity and in spirit. Students who live within the boundaries of the district but not within walking distance find it easy to be part of the school community since FBISD provides bus service to and from school. Parents who choose to drop their children at school map out their route and move from campus to campus without having to drive in and out of multiple neighborhoods. 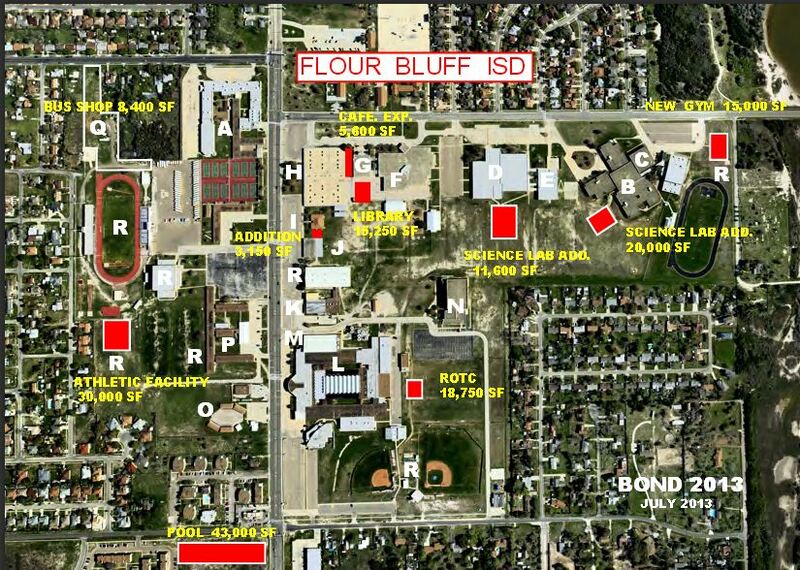 NJROTC – Advanced to the National Academic Bowl in Washington, D.C.
Flour Bluff ISD is in the middle of a $48 million facilities bond project approved by voters in 2012 and started in 2013. In addition to some much needed upgrades to the existing facilities, a field house (complete) and natatorium (under construction) are part of the big picture.